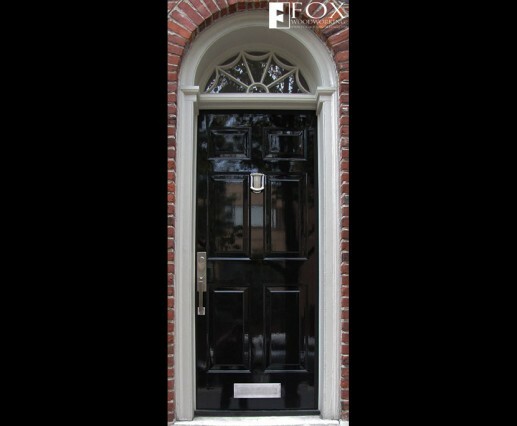 This black painted six panel door graces a newly remodeled home in Center City Philadelphia. 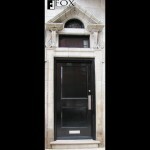 While we usually make custom doors, this door was purchased from a local lumber yard. 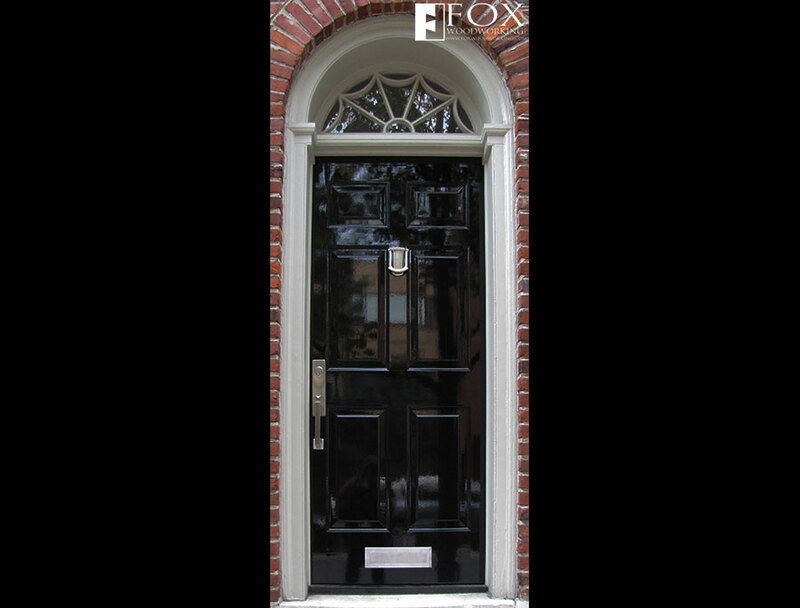 However, we applied the custom "wet look" finish (Euro X by ML Campbell), fit the door to the old door jamb, and installed the new hardware. This part of the project really boosted the property's curb appeal. In fact, this house sold within three weeks of being placed on the market.